We've put together some important tools and resources for Perth actors. Dare2Audition is a unique and exclusive talent service, assisting both actors and producers to cast their films, and for actors to find work. They have an exclusive talent base and assist actors to access more film roles, theatre jobs, TV commercials and other jobs in the film and theatre industry. Though they are not an agency, they function like an online agency and provide all the information and resources you may need to access auditions, arts grants, film and theatre competitions, industry agreements and industry awards and rates. Apart from all this they also sponsor actors each month to attend quality workshops. You can create your own webpage within the system and upload your photos, videos and other information. The highlight here is “No fees, commission or cut is charged when you gain work though their website." There is however a very nominal amount they charge for a yearly membership. Being a part of Dare 2 Audition is a wise investment any actor should consider making in their acting career. 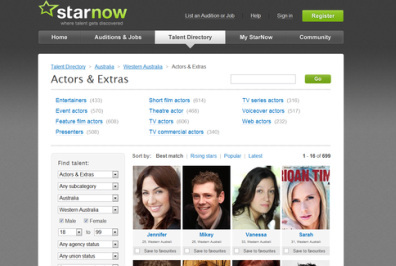 StarNow is an online community website and leader in online casting and talent. With over 1.5 million members around the world, StarNow provides casting directors with one of the world’s biggest databases from which to scout talented performers. Considering this wide exposure, StarNow members pay only a very small fee to create their profile and apply to casting calls. On StarNow you can find many postings from casting professionals around the world who are looking for actors, models, dancers, musicians, photographers, crew, stylist and more. On StarNow's website you can also apply for auditions and jobs, find an agent, be scouted and end up working with some of the biggest names in the industry. 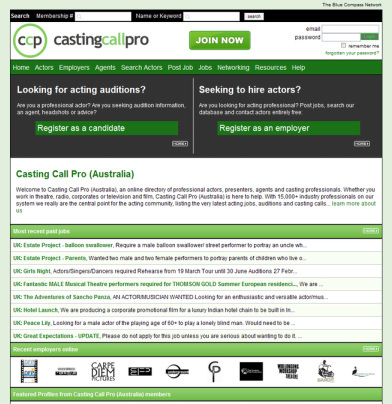 Casting Call Pro is an online directory of professional actors, presenters, agents and casting professionals. With 15,000+ industry professionals on their database they are the central point for the acting community. You can upload your resume, add online showreels, voice samples, and your work history in their central online database, making your details accessible to casting directors and production companies. They have a unique feature which is the profile tagging mechanism which sends out instant alerts too its members about upcoming castings that match your skills. 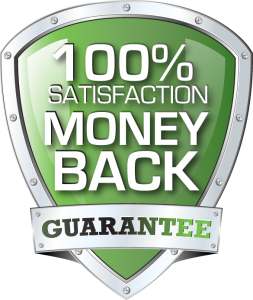 Their basic service is entirely free of charge, however you can upgrade any time to the advanced packages that they offer. The advanced package includes additional features like auto alerts, getting your own unique profile url, voice samples and a comprehensive portfolio section.